Sign up below for your FREE week of training! Please allow us to contact you before starting your trial classes. Angry Monkey MMA allows you to try every class available to you for FREE! 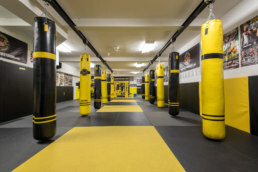 You will have 10 days from your first class to try 1 boxing class, 1 Muay Thai class, 1 Cross Training class, 1 Women’s-Only Kickboxing class & 1 no-gi BJJ class. We offer free trials for kids classes as well. Please Note: To attend your Brazilian Jiu-Jitsu Trial classes there is a $10 fee, that will be deducted from your membership cost if you later decide to join that program. Which classes interest you? Any questions? I give Angry Monkey MMA permission to contact me to arrange the details for the free classes.